Teaching through Luke and Acts has been one of the great joys of my life. It seems like in each teaching experience, a single commentary has emerged as the voice that is most helpful. In Romans, it was Doug Moo’s commentary from the NICNT series. In Luke it was Darrel Bock’s from the Baker Exegetical Series. 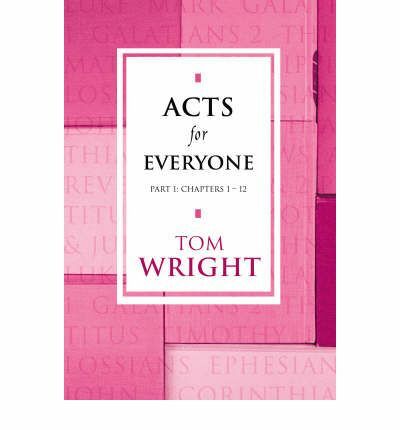 Acts has been most supported by NT Wright’s Acts for Everyone. It’s meant to be read by… wait for it, everyone. He writes it as a commentary with incredible depth and insight, but adds great color and flavor for anyone to enjoy and learn from. If you’re looking at studying the book of Acts, I would highly recommend picking up these works to add to your collection! They are on Logos, Kindle and actual, physical forms.